The Third Ultra Jam in the Signature Series. 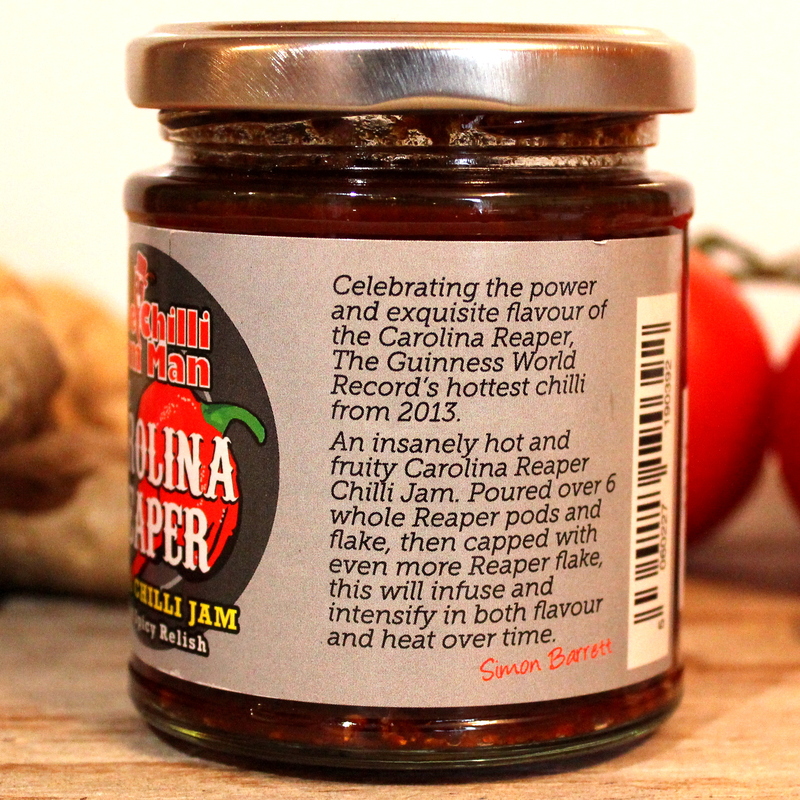 Celebrating the power and exquisite flavour of the Guinness World Record hottest chilli, the Carolina Reaper! 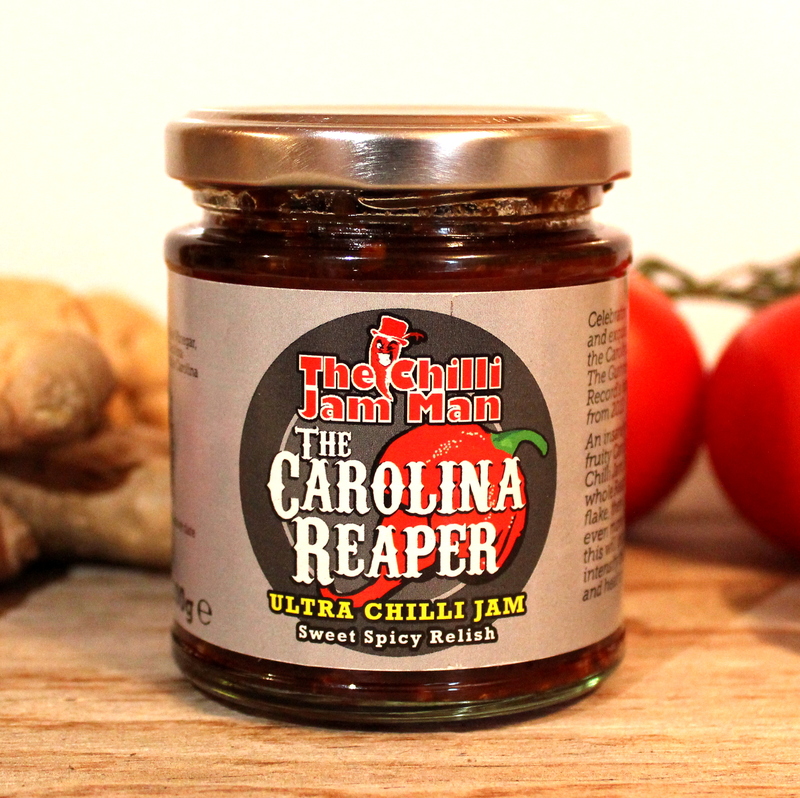 A searingly hot Chilli Jam made with 50% more chilli than the Reaper’s Revenge poured over a layer of Carolina Reaper flake and pods which leaves it to infuse, growing more powerful and flavoursome in time. This is as hot as we get! This product was previously known as The Reaper, but it’s been given a facelift. New name, same amazing taste. 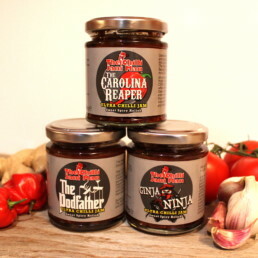 There’s nothing ‘grim’ about our Reaper! Ingredients: Tomato, Sugar, Red Wine Vinegar, Garlic, Ginger, Balsamic Vinegar, Carolina Reaper Chilli(1.7%). Poured over Carolina Reaper Flake and Pods. Already a huge fan of the Mojo, the Reaper takes things to the next level. The Mojo has a fairly long ramp-up time that can leave you wondering when you’ll be allowed to get off the ride. This is absent with the Reaper. Its full presence announces itself within moments, leaving you in no doubt that you’ve just tasted something very special. Initially slightly fear-inducing… ultimately, highly addictive. Yum. More ultras please, mr jam man. 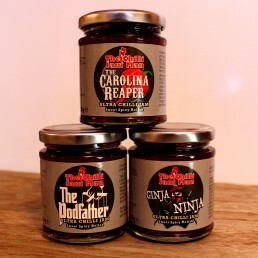 By far the tastiest, hottest product my father-in-law and I have ever eaten. The smallest amount with cheese and crackers left us giggling and swearing. The heat hits in seconds and coats your tongue, writing this 5 minutes later and even the smallest amount has left its mark. Cannot recommend highly enough. Wow……….. got it as a xmas present, from my daughter… not sure now, wether she loves me, or hates me……………. never read about it, and thought it’s like the other chilli jams I’d had. 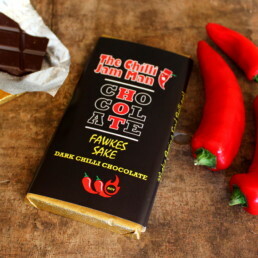 … plastered it onto my toast………………………..
20 minutes later, the whole inside of my body was still on fire…………………I’ve been to chilli festivals, but never had anything like this…. My name is AL, and im a ultra jam addict…. I’ll put my thinking hat on! 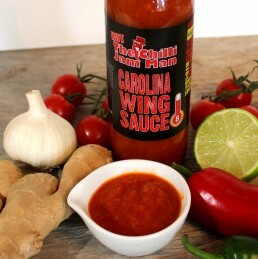 Have a try of our Carolina wing sauce, IT’S not quite as hot (depending on how much you have) but is seriously addictive! !